How Well Do Your Flips Flop? By the way, did you ever realize that those minimalist (albeit, highly fashionable) sandals “with the thin piece that fits between your two toes” are no longer called: “Thongs“? 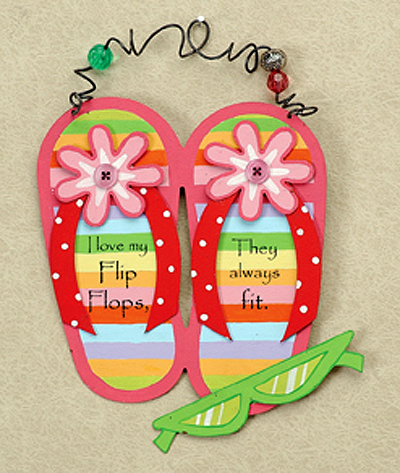 Just when was it that “Flip Flops” became the trendy new catch-phrase for this form of footwear? I guess around the time that the undergarment “with the thin piece that fits between your two…” (um, you guessed it) debuted. For the record, I owned “Thongs” way before they were cool (…and fit between your cheeks)! Check it out… it looks like today’s Thongs might be on the way out, too. Inspired by this ingenious 12-part photo montage highlighting the many virtues of the common Flip Flop and its role in politics, I have come to grips with the fact that this IS, in fact, The Year of the Flip Flop. And it’s high time I hop on the Flip Flop Bandwagon… in my own way, of course. Actually, I can’t believe that I haven’t jumped (feet-first) into this whole Flip Flop craze yet. There are just so many cool and unique Flip Flops around every corner …We’re talkin’ colors and styles to match every conceivable outfit! And with Flip Flops in all these basic colors available at Target alone, I certainly could’ve taken my watch/scrunchie assimilation a step farther by color-coordinating them with my Flip Flops too! Check out Flip Flops Part II to see some of the most unique styles of Flip Flops available on the market today… plus other fun Flip Flop memorabilia!